Check out this interesting idea! 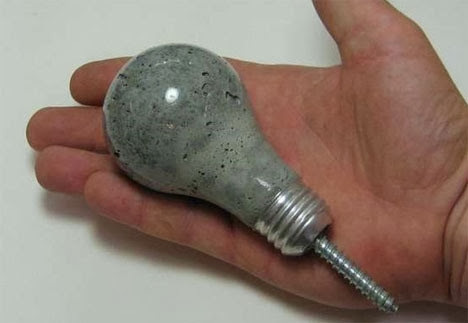 Use an old lightbult as a mold to make a coat hook (or maybe doorknob) out of concrete. Get the tutorial at Instructables! The idea of an energy light bulb mjght be fun but it is something one should'nt try. Those energy light bulbs contain toxic stuff that need to be properly disposed of and breaking one is not good as you could enter in contact with it.